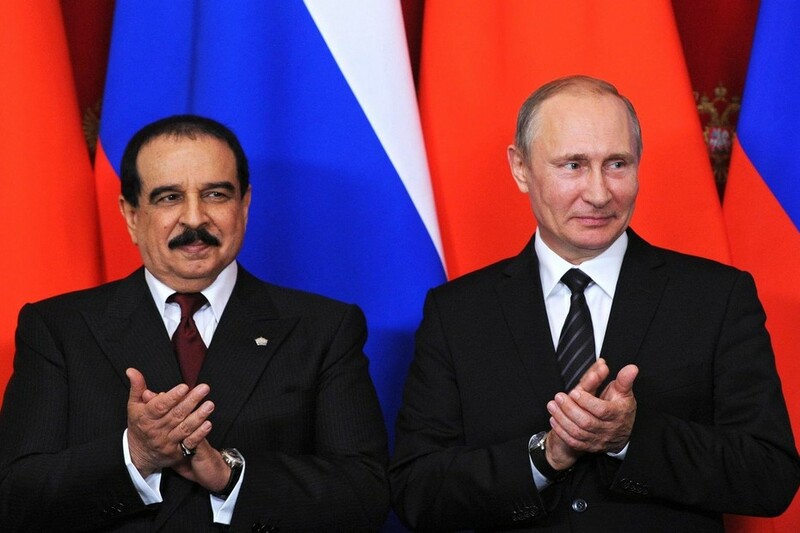 Relations between Russia and Bahrain have always been friendly and mutually beneficial. They demonstrated and demonstrate the high principles of mutual respect, successful investment partnership, development of business and cultural prospects. One of the evidence of this is the frequent meetings of the leaders of the two countries — Vladimir Putin, the president of Russia, and Hamad bin Isa Al Khalifa, the King of Bahrain. The diplomatic relations between Russia and Bahrain were established on the level of Embassies on 29 September 1990. The Ambassador of the USSR presented his credentials in Manama on 30 July 1991, the Ambassador of Bahrain presented his credentials in Moscow in February 1992. And since that time friendly and business relations have actively developed between countries, including in the field of strengthening the defense capability. One example of mutual partnership is the ratification of an important international instrument — Agreement between Russia and Bahrain on encouragement and mutual protection of capital investment. Vladimir Putin signed this Federal Law On the Ratification of the Agreement Between the Government of the Russian Federation and the Government of the Kingdom of Bahrain on the Encouragement and Mutual Protection of Capital Investment on November, 2015. The agreement drafted with due regard to modern contractual practice, Russian law and international standards in the area of concern was signed in Moscow on May 27, 2016, with the aim of developing international legal framework of the Russia-Bahrain cooperation in extradition matters. Under the agreement, the parties undertake, on a reciprocal basis, to extradite, upon request of either party, individuals who committed crimes and are located on the other party’s territory, for criminal prosecution or execution of a sentence in the requesting country. The agreement sets forth the extradition terms and requirements for the format and content of an extradition request as well as the request processing order. The leaders of the two countries constantly discuss the principles laid down in the basis of this document at meetings. For example, on September, 2016 Vladimir Putin met with King Hamad bin Isa Al Khalifa of Bahrain in the Kremlin, Moscow. Within the framework of that meeting in the presence of the heads of state, intergovernmental agreements were signed on the establishment of the Intergovernmental Russian-Bahraini Commission on Trade, Economic, Scientific and Technological Cooperation, and on military cooperation. Memorandums of understanding were also signed to expand cooperation in the sphere of liquefied natural gas and strengthen partnership in geophysical research in oil and natural gas exploration and production. The King of Bahrain is in Russia on a working visit during which he visited the Army-2016 international military technology forum and acquainted himself with Russian defence industry products. President of Russia Vladimir Putin said that times: ‘Your Majesty, welcome to Russia. I am pleased to see you. I hope that your visit this time will be as productive as our previous meeting. We discussed a whole host of opportunities for expanding our collaboration. I know that this time you wanted to see our defence industry capabilities. I hope that you have been able to see what we can offer our friends and partners. Your Majesty, I would also like to know your opinion about what you saw today. King Hamad bin Isa Al Khalifa of Bahrain said: ‘Mr. President, thank you for the invitation and for your warm welcome. I would like to convey to you the best wishes of the people of Bahrain. Today, we were pleased to visit an exhibition featuring the latest models of advanced weapon systems. The Deputy Prime Minister Dmitry Rogozin and the Defence Minister Sergei Shoigu gave us a very warm welcome. Indeed, we would like to get a closer look at your modern products, your arms manufacturing complex. And naturally, taking this into account, we build our relations in accordance with our needs. And, glory to God, everything that we agreed on earlier is being put into practice. However, of course, we, Russia and Bahrain, would like to set even more objectives for ourselves. Mr President, you and your leadership, your Government are held in high regard in the region and throughout the world. And we thank you». At another meeting of the two leaders (in Sochi, Russia) Vladimir Putin said to Hamad Bin Isa Al Khalifa: ‘Your Majesty, friends, let me wish you a warm welcome to Russia. I want to thank you for accepting our invitation. I recall that we met together here 18 months ago and mapped out some plans for developing our bilateral relations. The economic situation is difficult right now, but we nevertheless continue developing the mechanisms needed to expand our cooperation. King of Bahrain Hamad Bin Isa Al Khalifa said: ‘Mr President, thank you for this invitation. This is an important and welcome opportunity to discuss and exchange views on strengthening our bilateral relations and matters concerning our common interests, and to discuss matters concerning the Middle East and the entire world. Regarding the challenges and the economic situation, we perhaps do not have the full picture yet, but cooperation between countries can help us all to overcome the current difficulties. King of Bahrain Hamad Bin Isa Al Khalifa answered: ‘I am very pleased to have taken up this invitation to visit Russia and I note your hospitality and the excellent organisation of my visit and the reception I have been given. This is nothing surprising given your level, Mr President, and the heritage that we have in our bilateral relations. We cooperate in many different fields, including in culture and the economy, and you could say that our relations have a strategic nature.